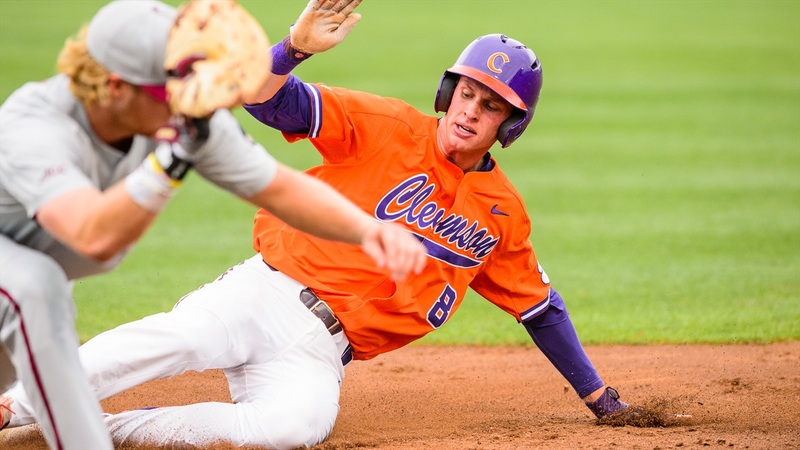 CLEMSON, S.C. – Junior shortstop Logan Davidson (Charlotte, N.C.) was named a preseason first-team All-American by Baseball America on Monday. He was previously named a preseason second-team All-American by D1Baseball and a preseason third-team All-American by Collegiate Baseball and Perfect Game. The two-time All-ACC Academic selection has 27 doubles, 27 homers, 87 RBIs, 116 runs and 20 steals in his first two seasons as a Tiger.